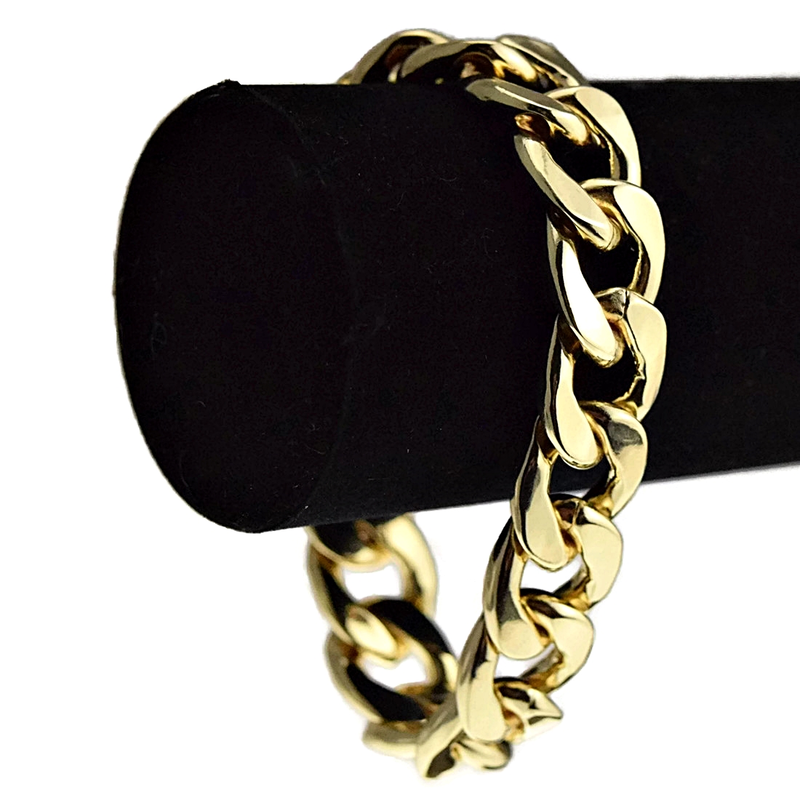 Chunky Cuban 8.5 inch hip hop bracelet. Gold finish over a high quality alloy core. 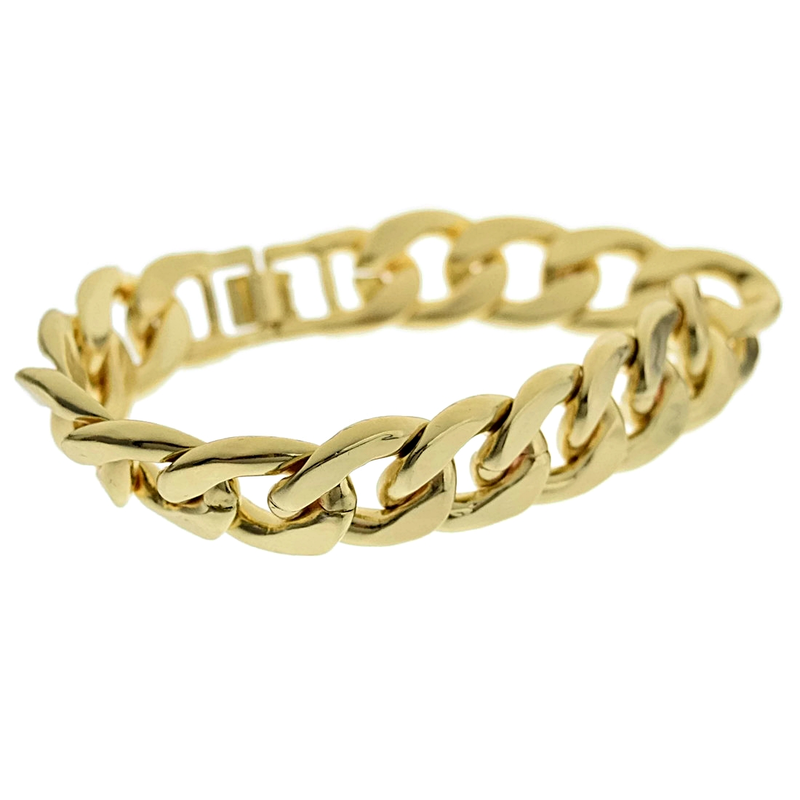 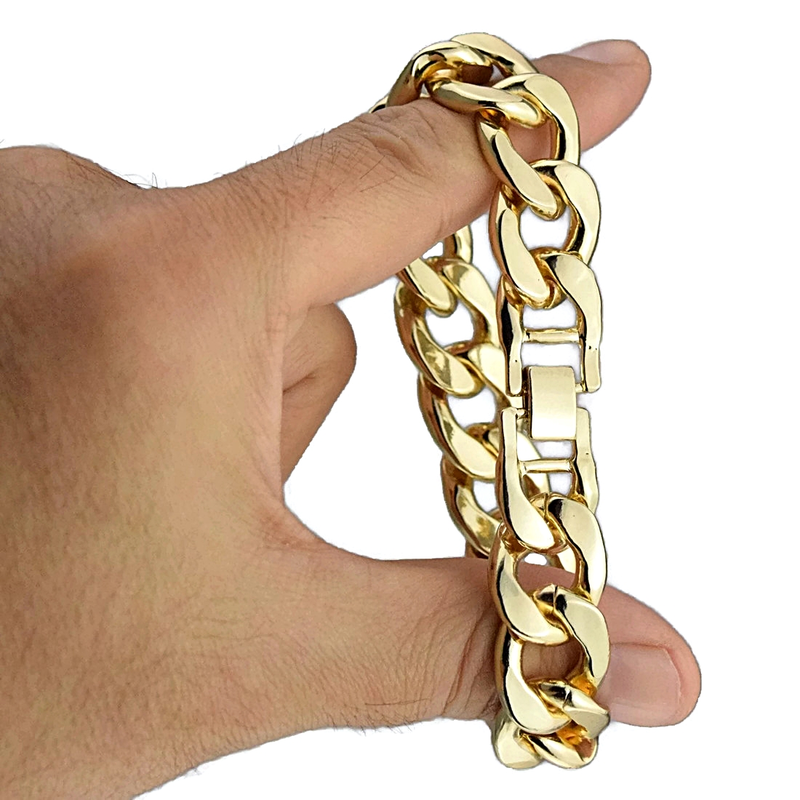 Solid metal bracelet weighs 70 grams. 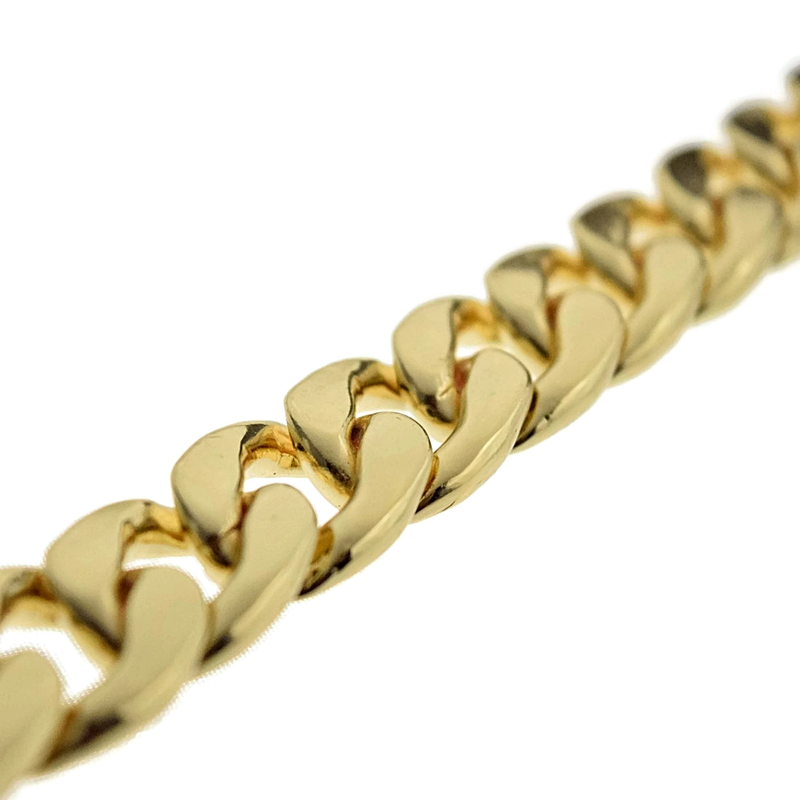 This thick bracelet is 16 mm wide and a full 8.5" inches long with a box clasp closure. 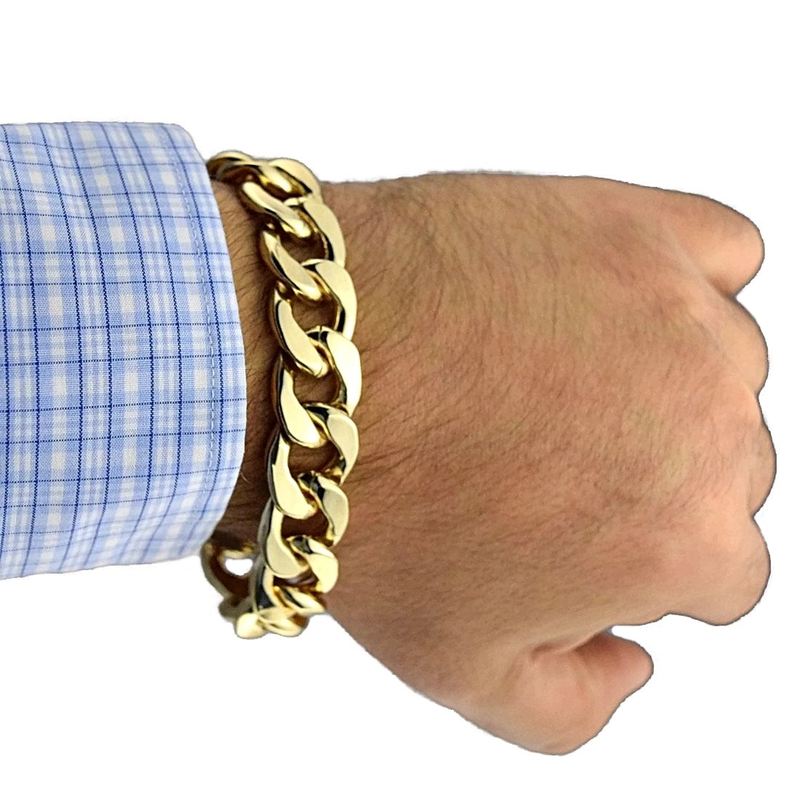 Floss like a boss with this dope bracelet.